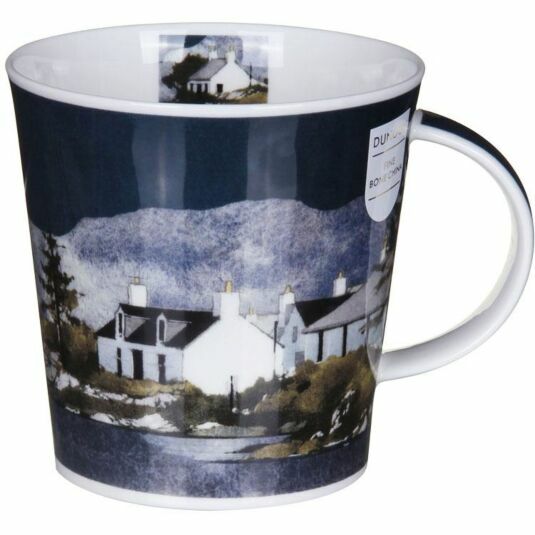 A wintry night in the Scottish highlands and islands is depicted on this mug from Dunoon by Ron Lawson. Rows of whitewashed cottages are depicted bathed in silvery moonlight, against a backdrop of ghostly mountains, sparkling with snow. In the foreground the murky waters of an icy loch reflect the whitewashed walls of the cottages. 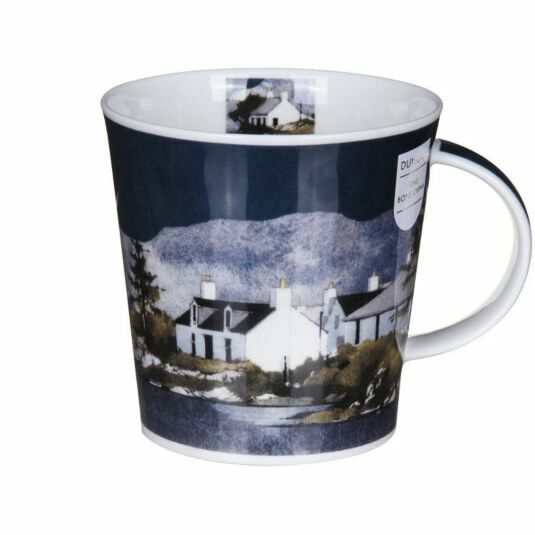 This mug celebrates the lonely life of the outposts of Scotland, and presents a lovely image in its own right. Ron Lawson is one of Scotland’s most distinctive contemporary landscape painters. His subdued imagery featuring lonely crofts and sheep dwarfed by the Scottish landscape resonates with all those who love the Highlands.